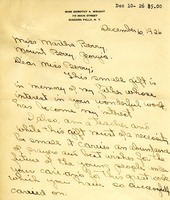 Martha Berry thanks Miss Frances E. White for her generosity, and promises to keep her donation anonymous. 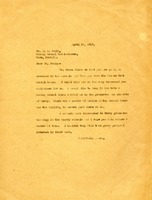 Berry continues to talk about the wild flowers in bloom due to Miss. 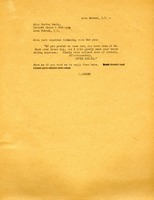 Whites interest. 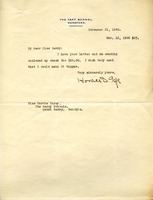 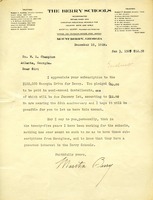 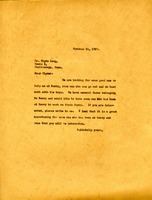 This letter is a response from J.K. Pullock to Martha Berry involving a donation to Berry College. 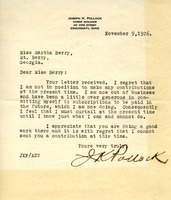 Pullock informs Martha Berry of his inability to provide funds due to business problems. 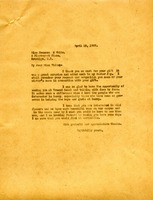 The author ends by praising Martha Berry and her work. 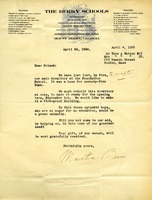 "Enclosed find five dollars which I hope may be of some little use in carrying on the work." 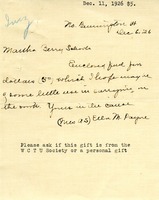 It is unclear whether this was a personal gift or a gift from the WCTU Society.